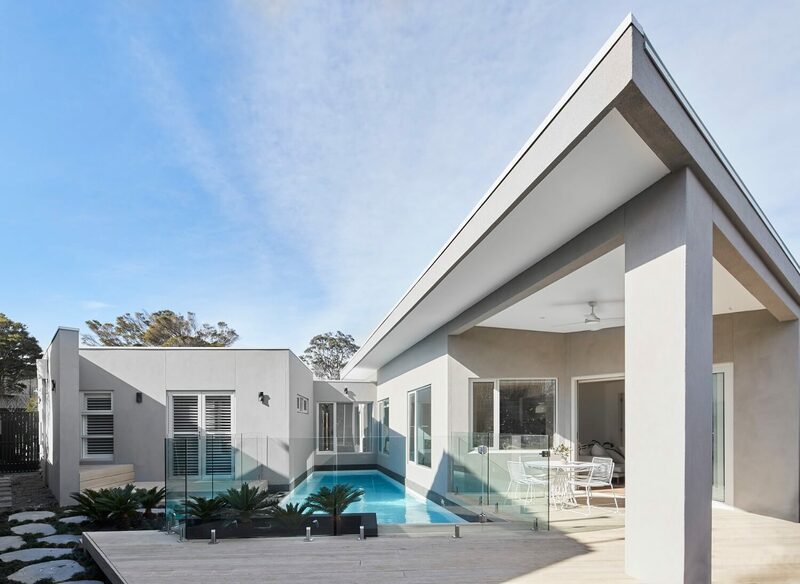 An irregular shaped site inspired the direction for this uniquely designed single storey modern residence. 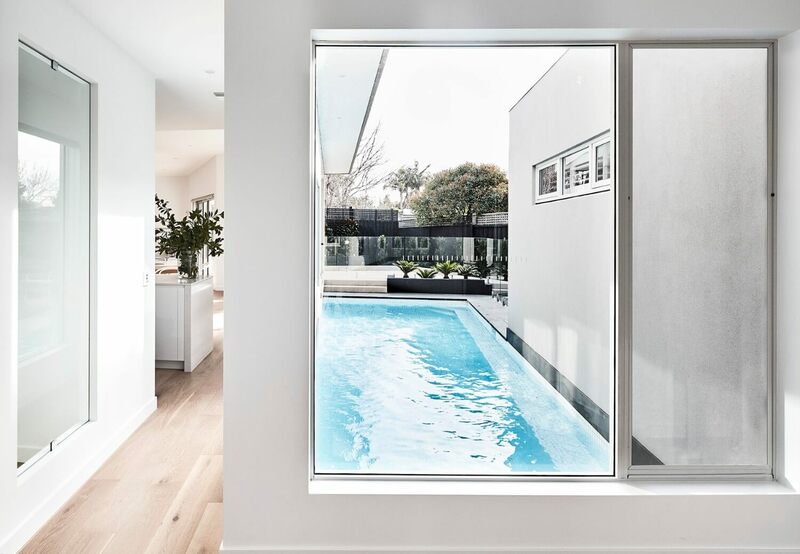 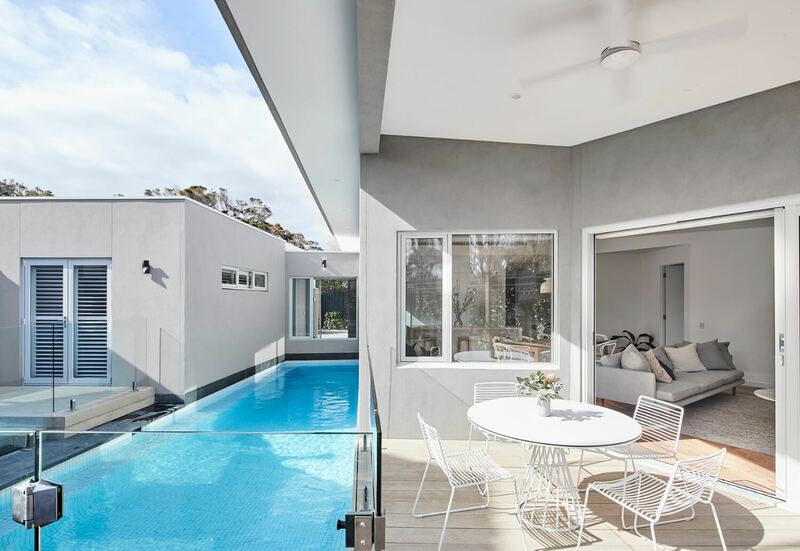 A cleverly zoned floor layout is achieved with the utilisation of a swimming pool as a splice through the house that separates the Master suite wing from the main living areas, creating a visual feature enjoyed from everywhere in the home through expansive glazing sections. 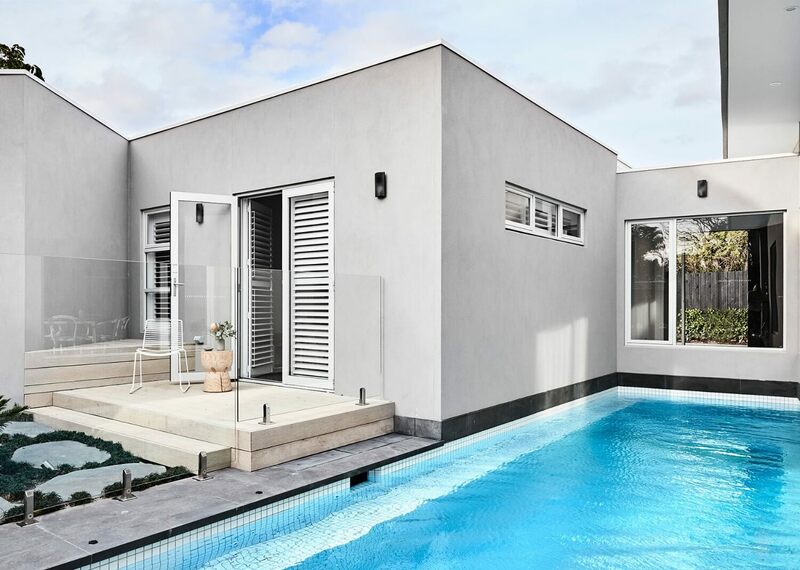 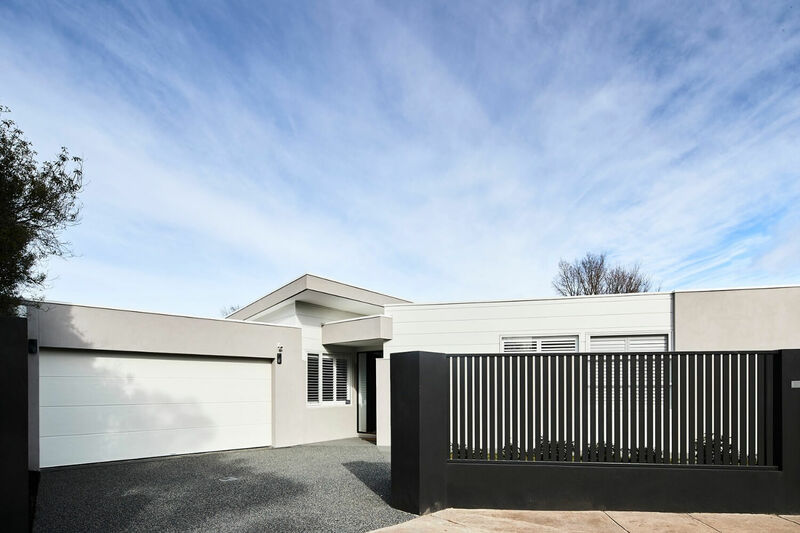 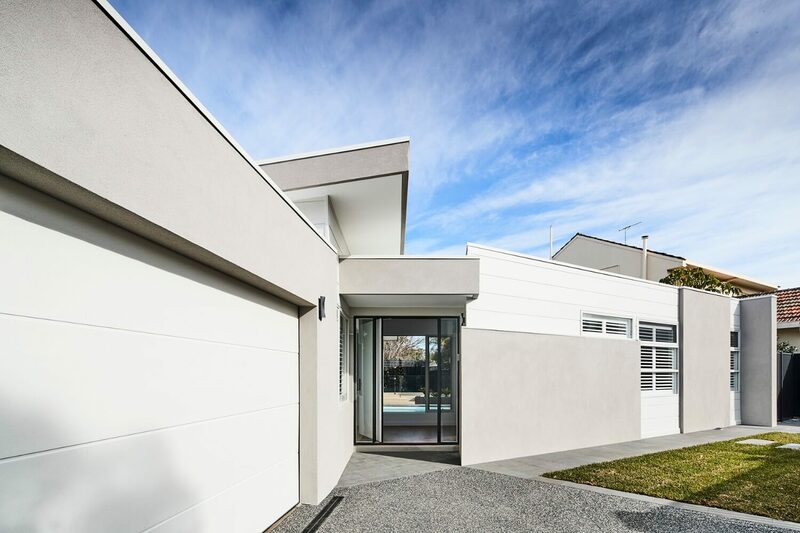 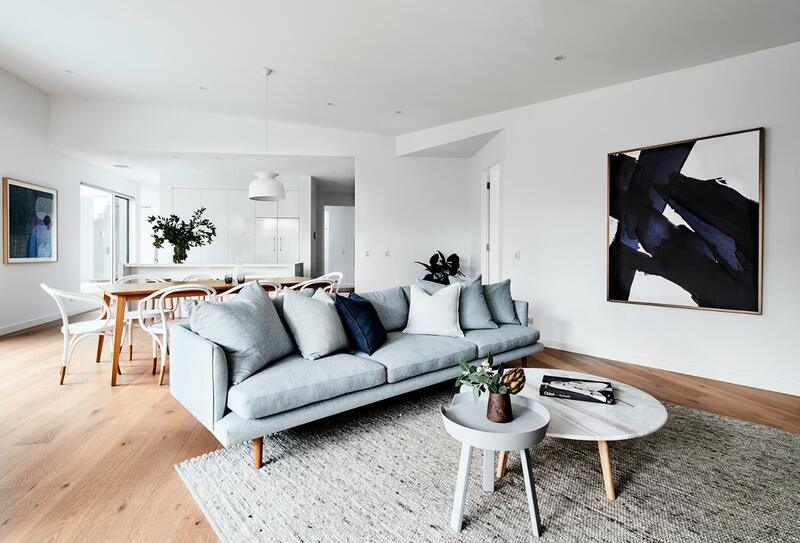 Dramatic raked ceilings over the generous living spaces complimented by beautifully crafted custom built in joinery further enhances the enjoyment of living in this inventive home. 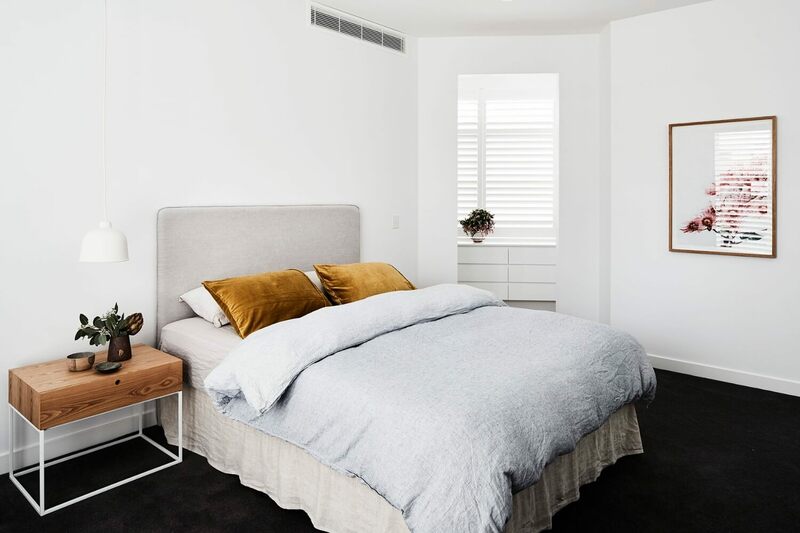 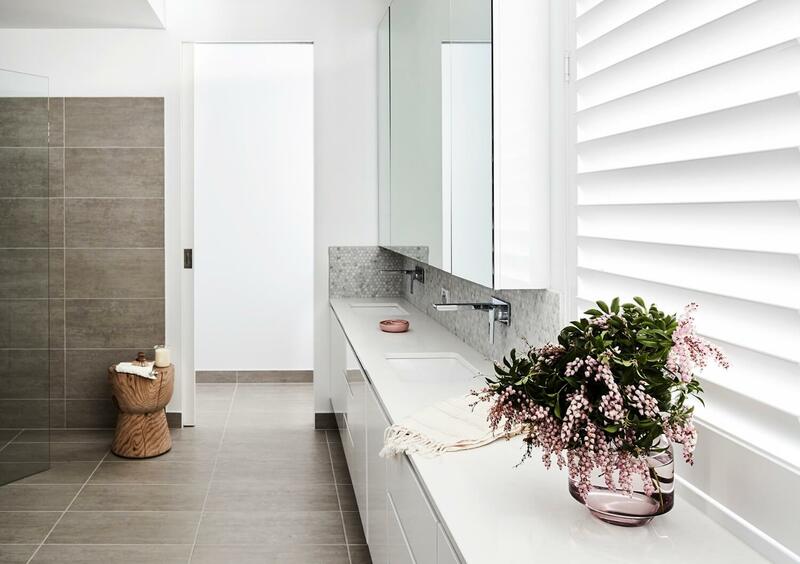 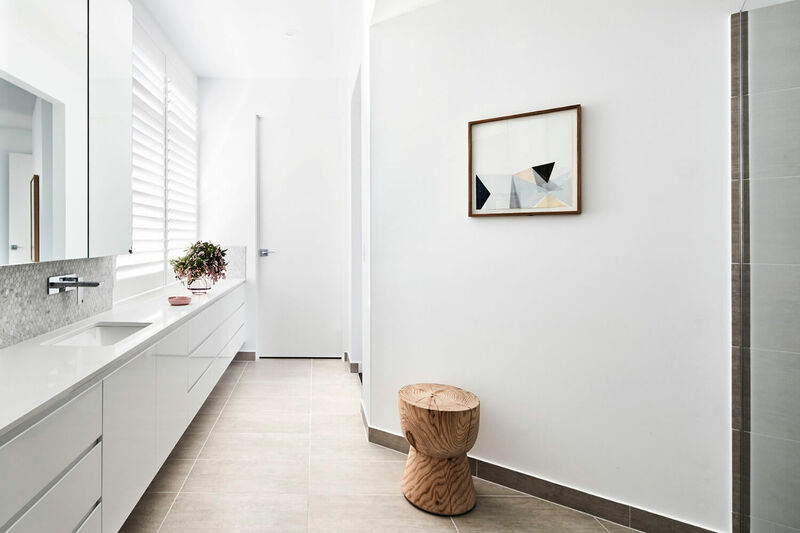 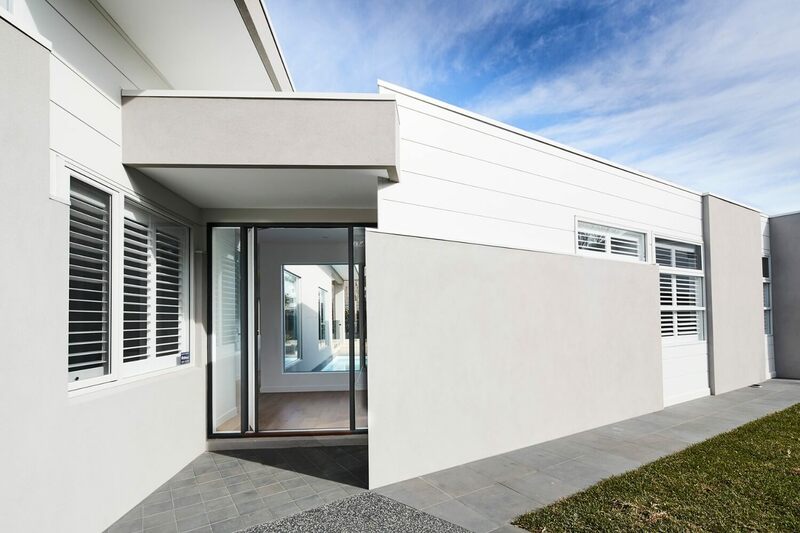 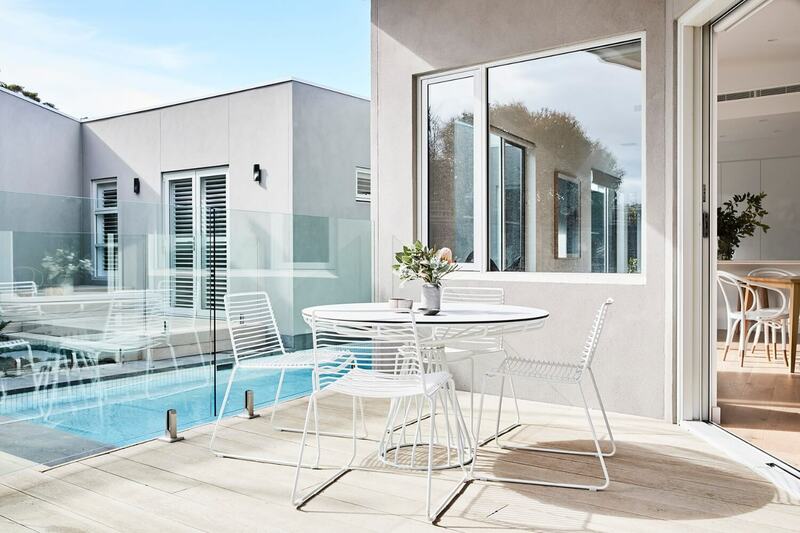 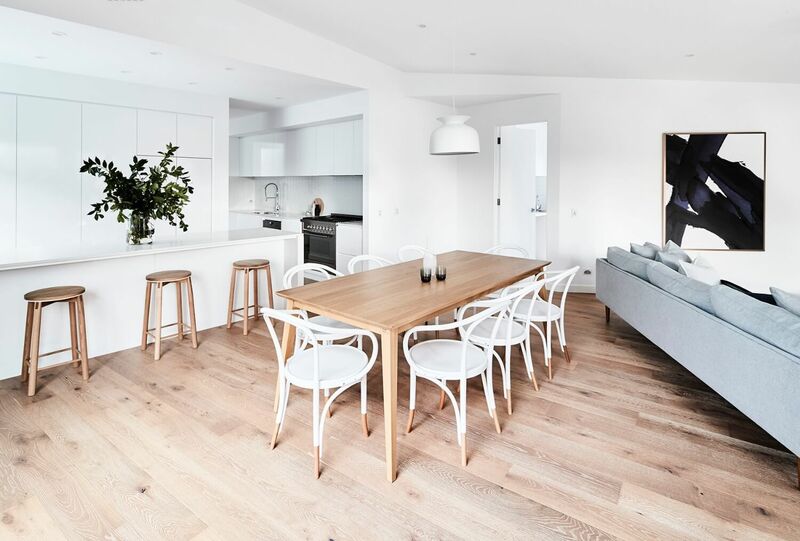 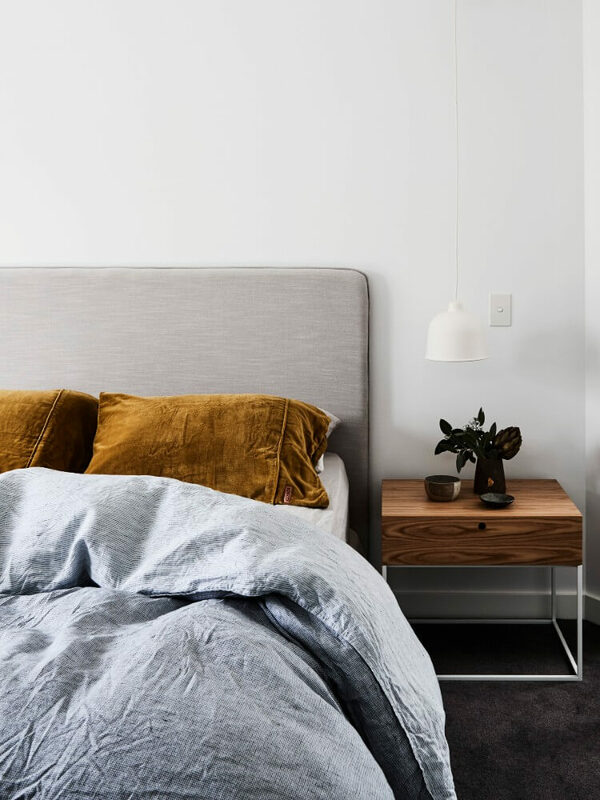 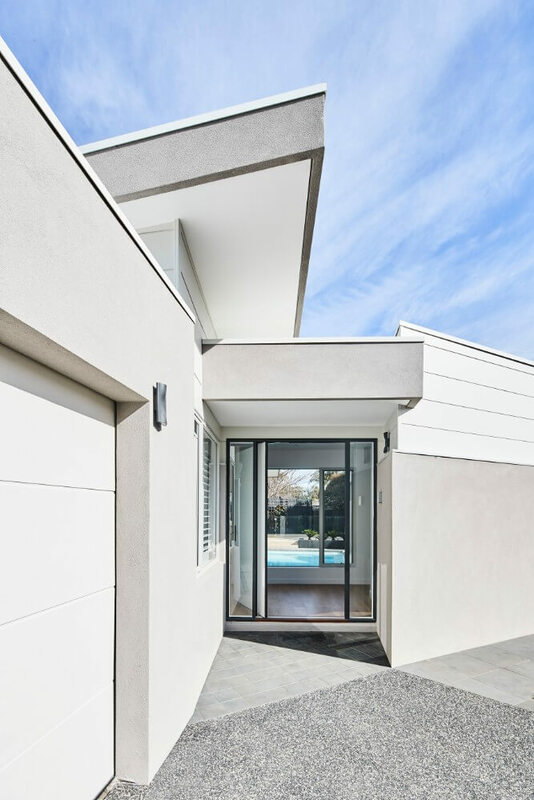 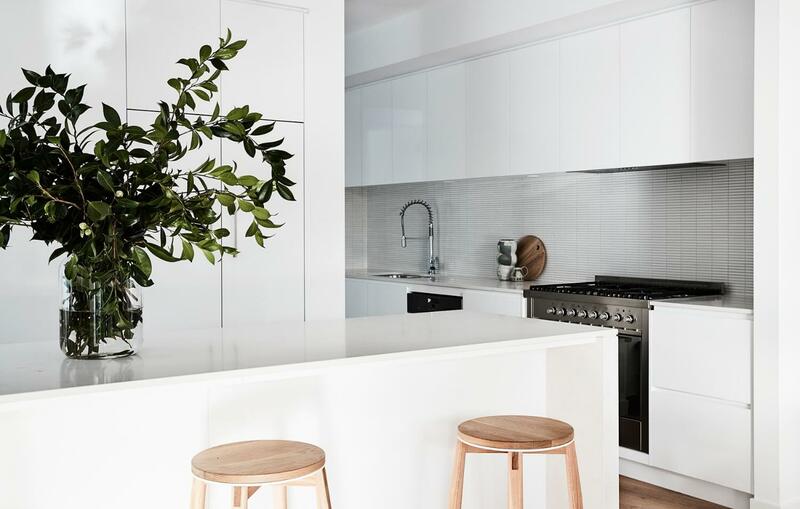 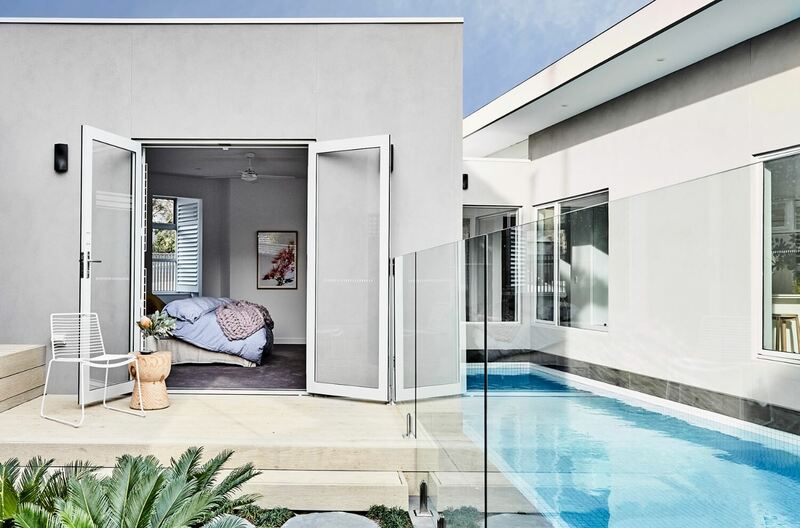 An Architecturally designed home that is the result of clever planning and meticulous design, proving even the most challenging sites can reward us with even greater intriguing homes.